Advisors with pro sports experience sound off on Sunday's Super Bowl and Ohio State quarterback Cardale Jones' desire to become a financial planner. NFL quarterbacks Tom Brady and Russell Wilson aren’t expected to announce a career shift into financial planning anytime soon. 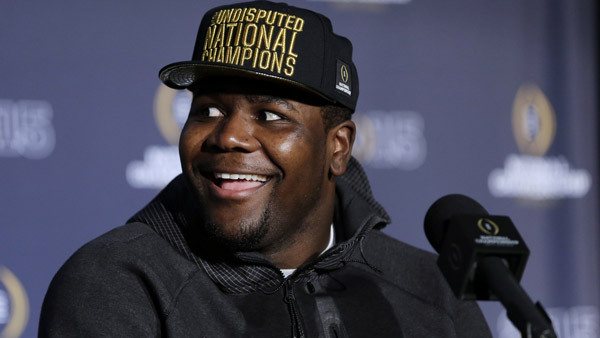 But Ohio State quarterback Cardale Jones, who helped his team win the national college championship and recently said he would finish school before joining the NFL, sees his second career in financial services. The Financial Planning Association has commended him on the decision to become a CFP, and several financial advisors who played in the NFL or worked with the organization insist these two career paths have more in common than the average sports fan, or investor, might think. These pros, who love to do a bit of armchair quarterbacking, have strong opinions on the two fields, which they recently shared with ThinkAdvisor, along with their views on Sunday’s Super Bowl. “Fans don’t normally see it, but players have a plan to get ready for the season and conditioning. Each team has a plan, too, and there’s a plan for each week involving the team you are playing,” explained Scott Hunter, who was a quarterback with the Green Bay Packers, Buffalo Bills, Atlanta Falcons and Detroit Lions in the 1970s. He is now is a branch manager and independent advisor with the Gulf Coast Group, affiliated with Raymond James (RJF) in Mobile, Alabama. Also, just like coaches and players, advisors and clients have to stick with their game plan consistently over time. Thomas suggests that Jones take his laser-sharp focus on the field and apply to his studies in college and later to his work as a financial planner. In both arenas, you should have short-term goals to get to — and stay in — the big leagues. Other advisors point to the need — in both fields — to see the big picture and to adapt accordingly as circumstances change. In the NFL, “You see coaches and players looking at tablets and adjusting their game, especially at halftime. Then, you can go on to win the game, which is the same with what we do in financial planning,” explained Geier, who worked for a sports agency for many years and now manages money for baseball stars like Cal Ripken Jr.
“My daughter is at the University of Alabama,” he adds. (And since Ohio State defeated the Crimson Tide in the Sugar Bowl, it isn’t easy for him to be a cheerleader for the opposition, Geier notes). “Preparation is really important and is a a key part of strategic planning” in both finance and football, said Wayne Brumm, a branch manager with an independent group affiliated with Raymond James in Crown Point, Indiana. “You also must have the personality to be rational when all else is unsettled, to be a rational decision-maker,” said Brumm, who played football for Colorado State and whose uncle, Don Brumm, had a long career with the St. Louis Cardinals. Like football players, financial planners make decisions “based on facts and less on emotion,” he adds. Being swept into the NFL draft is certainly emotionally enticing. “But Cardale had the rationale to stay at Ohio State, and that’s the rationale that a good planner has to have,” Brumm said. While Carroll “wears his personality on his sleeve,” according to Geier, New England head coach Bill Belichick “is more reserved and doesn’t give a lot of sound bites and information to the press. Others agree on the attitude the coaches and their approach to the game. “My expectations are that this is going to be a great matchup,” said Hunter, who adds that as a Packers fan he is “neutral” on the game. “There is very little that separates the teams at this level. His prediction? Seattle wins 23-20. “The last game [the NFC championship game, in which the Seahaws came back to beat the Packers] signifies why I give them the edge — and the three points,” the former NFL player said. — Check out 10 Super Super Bowl Numbers: 2015 on ThinkAdvisor.